Happy 4th of July! Hope you’re having a wonderful long weekend! I love the classic color scheme! Your classy chic look is very beautiful! Looking so beautiful, elegant and like a real girl boss! Love that blouse! So classy an chic and definitely can be styled in so many different ways! 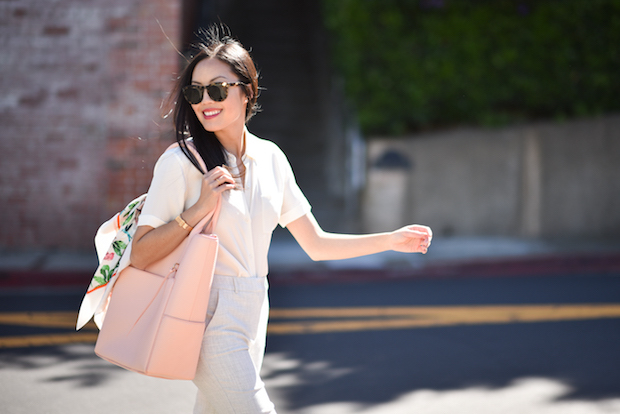 Love the bag with the floral scarf! Those pants are absolutely stunning! This is such a beautiful classic look. Happy 4th! 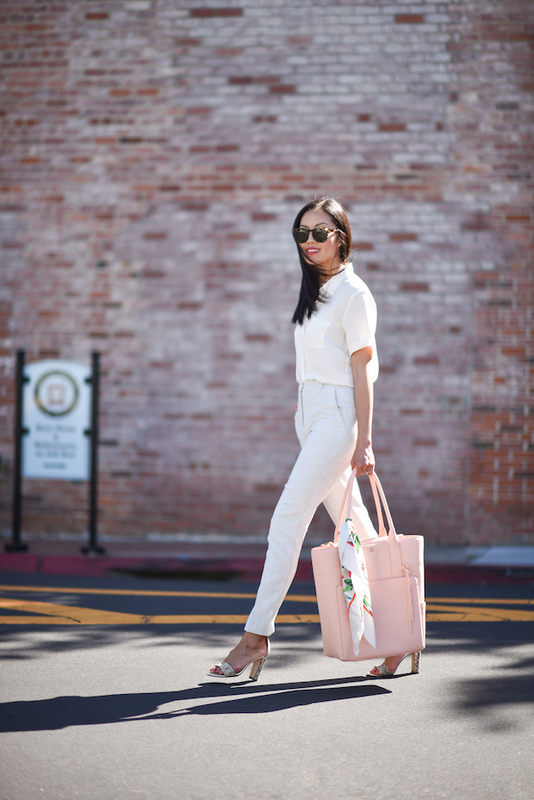 The perfect chic all-white summer look! Love the scarf tied around your bag for that extra pop of color. That scarf is so beautiful! So classy look!! Love your outfit!! !